Servants of the Lord. Ministers of the Gospel. Edward L. Dupuy, Sr. was the founder and first pastor of West End Presbyterian Church. Mr. Dupuy, his wife and son came to Hopewell in the fall of 1921. He started a Sunday School in an old store building on Atlantic Street on Sunday, November 13, 1921. It was called Dupont Chapel and the attendance grew by leaps and bounds. The Sunday School became an organized church on January 20, 1924. Mr. Dupuy was ordained and installed as pastor. Dupont Chapel became West End Presbyterian Church. Due to failing health, Mr. Dupuy left the church in 1928. William E. Hill, Jr. became the pastor in 1929. He was a first year student at Union Theological Seminary in Richmond. He was sent by the Home Missions committee to West End to supply its pastoral needs. He "supplied" for nearly thirty years. He left in 1958. Donald B. Patterson was the pastor from 1958 to 1962. He became pastor on December 1, 1958. Mr. Patterson was a graduate of Wheaton College in Wheaton, Illinois and Columbia Seminary in Decatur, Georgia. Kennedy Smartt was the pastor of West End Presbyterian Church for fifteen years. As soon as he came, he plunged himself into every phase and activity of the Church. He was a great proponent of visitation and personal evangelism, which was a big part of his work. Foreign and home missions were dear to he heart. When the church building was totally destroyed by fire in 1964, he was the right man to see the Church through this traumatic experience. Samuel Cappel was the pastor of WEPC for six years. All of his children were grown and away from home. Sam and his wife, Mary Ann, were free to do visitation and minister to the needy. They pastored their flock well. Lee Trinkle was the pastor for almost three years, 1984 to 1986. Robert Wilson was the pastor from June 1988 till 2001. During this period, Bob and the Session worked very hard in getting the church out of debt. Wayne Good was the interim pastor from 2001 till September 2003. God placed Wayne here to be the interim pastor while the church sought a full time senior pastor. Wayne was retired; however, God continued using him to do His work. The congregation was thankful to have someone who has so much love for God's people. Kevin Collins was the pastor from 2003 to 2011. He did a great job training the officers, putting together solid ministry teams and teaching sound Biblical theology. God has blessed West End Presbyterian Church with faithful pastors. We thank God for each and every one of them and their love among us. 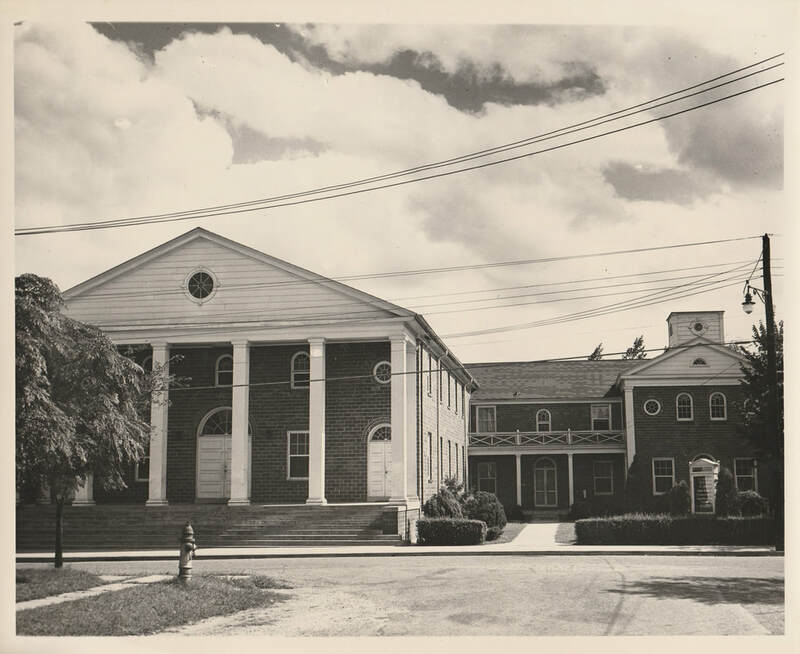 West End Presbyterian Church building before the fire of 1964.